Go south on South Boundary Road (from M-107 about 2.5 miles west of Silver City) for about 1.2 miles to the Union River Outpost Campground. Turn into campground and go about .3 miles to an iron bridge; cross the bidge and park on right. Walk about 100 feet upstream. 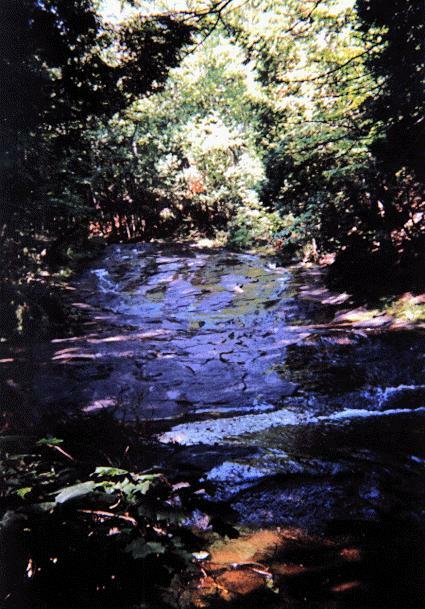 This is a photo of the upper section of the falls. 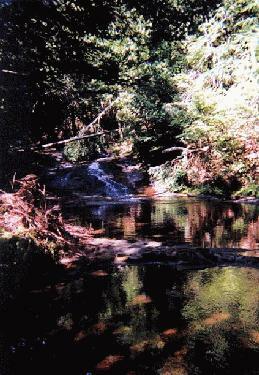 The photo above is of the lower falls.